Modify it in content and then present it as official government material. Attribution of data and images to NOAA is requested. You also cannot present information of your own in a way that makes it appear to be official government information. The user assumes the entire risk related to its use of this data. OSPO is providing this data "as is," and disclaims any and all warranties, whether express or implied, including (without limitation) any implied warranties of merchantability or fitness for a particular purpose. In no event will NOAA / NESDIS / OSPO be liable to you or to any third party for any direct, indirect, incidental, consequential, special or exemplary damages or lost profit resulting from any use or misuse of this data. As required by 17 U.S.C. 403, third parties producing copyrighted works consisting predominantly of the material appearing in NOAA Web pages must provide notice with such work(s) identifying the NOAA material incorporated and stating that such material is not subject to copyright protection. For data provided by other Government agencies (e.g., USGS, FEMA, DHS, EPA, etc.) please refer to Use of Data and Service notices and linking policies at their respective web sites. A United States government work is prepared by an officer or employee of the United States government as part of that person's official duties. For more information on using other Government works, please see www.usa.gov/copyright.shtml. 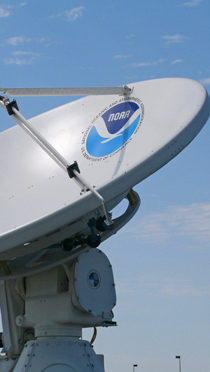 Additional information on the NOAA System of Records Notices and NOAA Privacy Act Statement. Page updated on May 5, 2017.